These 6 small stainless steel bowls are perfect for all different types of food preperation! 18/10 stainless steel. Diameter 12 cm. 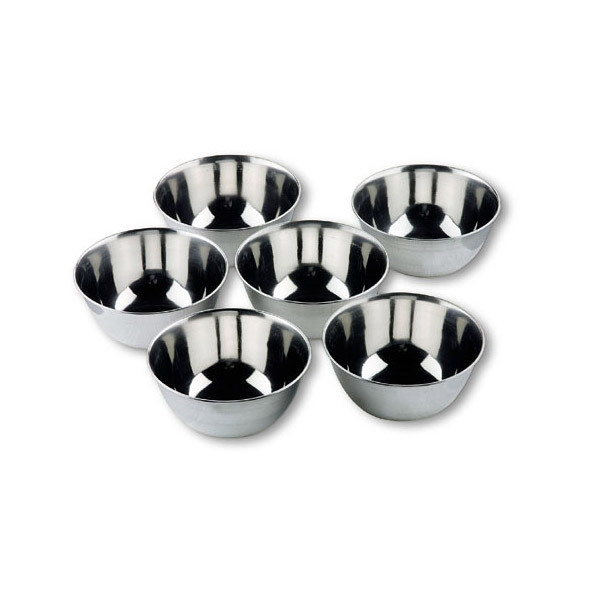 - These 6 small stainless steel bowls will be useful in the kitchen when preparing your meals! * Stainless steel 18/10, a material that combines the best health qualities and durability. Lacor is one of a few manufacturers who can fulfil the desires of food lovers, connoisseurs & chefs. Lacor offers a range of products that can not only be used domestically but also in a five-star hotels. As well as covering different shapes and sizes for cookware, the Lacor range also includes kitchen and table utensils, pastryware and tea and coffee products. A wide range of products for all kitchens.